I had a few podcastclicks.com users contact me and wanted me to add a larger square banner. I added a 250X 250 pixel ad space. Podcastclicks.com is a podcast only banner exchange system. You upload a banner into the system, and then grab a small piece of code that you can paste into a text widget on your sidebar. When you display a banner for their podcast, they display a banner for you. Podcastclicks.com has sent 99682 visitors to podcasters. 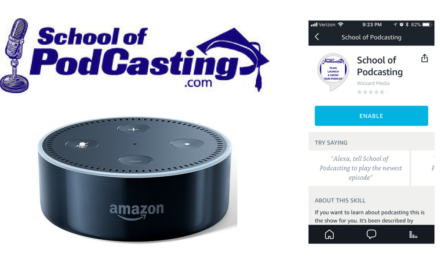 For now there is a School of Podcasting Banner, and as we add more users this will show up less and less. Coach – Free Podcast Promotion Website Podcastclicks.com Adds New Banner Size <Liked it!